"Yamaha drum design is practical and beautiful. Logical mounting systems, and it's famously rugged hardware are case in point. Those distinct touches of well-engineered class put it ahead of other brands for me. The clincher of course, is the superb musicality of the drum's sound in any genre. Its gorgeous looks are a bonus." Multi-instrumentalist and songwriter, Nick Norton, has performed, written and recorded with a multitude of artists over the last 20 years. 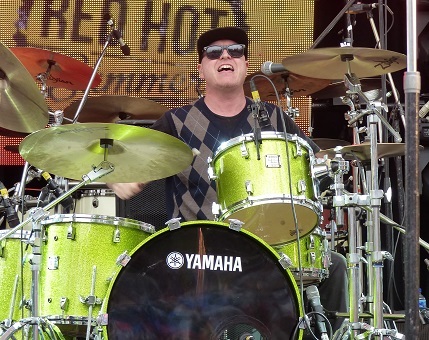 Nick is drummer for Australian rock icons, The Angels, and a songwriter on the band's recent studio albums. Since 2011, Nick has toured relentlessly with the band, including UK, France, Sweden and Japan, and released multiple studio and live recordings. A regular on the Sydney scene for many years, Nick has freelanced with scores of artists across every genre, working as a vocalist, guitarist, drummer and bassist. He is bandleader as the artist, Nick Norton, releasing original music and performing nationally. With the Angels, drumming has become central to Nick's musical life. Having been a proud Yamaha player for over a decade, it was a natural step to become involved with this classic drum company.